Nöroplastisite, sinir sisteminin yapısını, işlevini ve bağlantılarını yeniden yapılandırarak iç veya dış uyaranlara cevap verme kabiliyetidir. Nöroplastisite, moleküler yapıdan hücresel yapıya, sistemlere, davranışlara kadar pek çok düzeyde tanımlanabilir. Plastisite konusunda yapılan çalışmaların amacı genel olarak beyin hastalıklarını tedavi etmek ve daha güçlü bir hafızaya sahip olabilmektir. Uyarılan bir nöron çevresindeki diğer nöronları uyararak, nöroplastik değişimlere sebep olabilir. Son yıllarda klinik açıdan ağrı, depresyon, şizofreni gibi zihinsel bozukluklar, merkezi sinir sistemi (MSS) yaralanması, inme, Parkinson gibi nörodejeneratif hastalıklar, alkol bağımlılığı, pediatrik / gelişimsel bozukluklar, yaşlanma gibi pek çok faktörün nöroplastisite üzerine etkileri, etki mekanizmaları ve nöroplastisitenin terapötik etkileri üzerine çok sayıda araştırmalar yapılmıştır. Egzersizin nöroplastisite, nörodejeneratif hastalıklar ile zihinsel gelişim, öğrenme ve davranış gibi kognitif fonksiyonlar üzerine olan etkileri hem insanlarda hem de hayvanlarda yapılan birçok çalışmada gösterilmiştir. Bu derlemenin amacı; egzersizin nöroplastisite, nöroplastisite ile ilgili faktörler ve nörodejeneratif hastalıklar üzerine olan etkilerini göstererek, egzersizin nöroplastik değişimle tedaviye yönelik kazanımlarını vurgulamaktır. Neuroplasticity, the structure, function of the nervous system and reconfigure internal links or external stimuli is the ability to respond. Neuroplasticity, molecular structure to the cellular structure, systems, and behavior can be defined on many levels. The aim of the studies on plasticity is to treat brain diseases in general and to have a stronger memory. When stimulated by stimulating other neurons around a neuron, may lead to changes in neuroplastic. In recent years, such as schizophrenia, depression, pain, clinical aspects of mental disorders, central nervous system (CNS) injury, stroke, Parkinson’s, such as neurodegenerative diseases, alcohol abuse, pediatric/developmental disorders, aging and many other factor the effects of neuroplasticity, mechanisms of action and therapeutic effects of numerous studies on neuroplasticity. The effects of exercise on cognitive functions such as neuroplasticity, neurodegenerative diseases via mental development, learning and behavior have been demonstrated in many studies in both humans and animals. The purpose of this review is to demonstrate the effects of exercise on neuroplasticity, neuroplasticity-related factors and neurodegenerative diseases. 1. Livingston RB. Brain Mechanisms in Conditioning and Learning. Neurosciences Research Program Bulletin. 1996; 4(3): 349-54. 2. Apak S. Gelişim Nörolojisi. 2. Baskı. İstanbul: İstanbul Üniversitesi Yayınları; 2001. 3. Uzbay T. Anksiyete ve Depresyonun Nörobiyolojisi. Klinik Psikiyatri Dergisi. 2004; 4(3): 1-11. 4. Turhan B, Özbay Y. Erken Çocukluk Eğitimi ve Nöroplastisite. 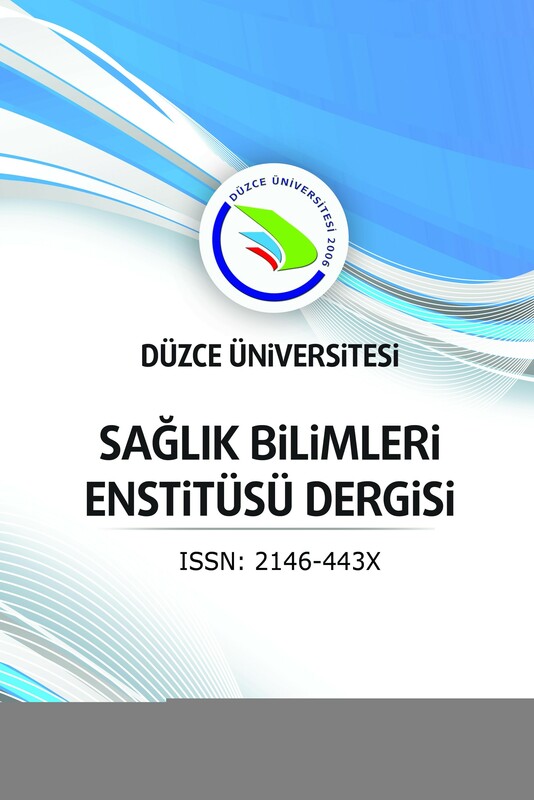 Uluslararası Erken Çocukluk Eğitimi Çalışmaları Dergisi. 2016; 1(2): 58-68. 5. Nelson CA. The Neurobiological Bases of Early Intervention. In: Shonkoff JP, Meisels SJ, editors. Handbook of Early Childhood Intervention. Second edition. Cambridge, MA: Cambridge University Press; 2000. p. 204-27. 6. Hyde KL, Lerch J, Norton A, Forgeard M, Winner E, Evans AC. The Effects of Musical Training on Structural Brain Development. Annals of the New York Academy of Sciences. 2009; 1169(1): 182-6. 7. Hensch TK. The Power of the Infant Brain. Scientific American. 2016; 314(2): 64-9. 8. Ma DK, Bonaguidi MA, Ming GL, Song H. Adult Neural Stem Cells in the Mammalian Central Nervous System. Cell Research. 2009; 19(6): 672-82. 9. Budde H, Schwarzc R, Velasques B, Ribeiro P, Holzweg M. Machado S, et al. The Need for Differentiating Between Exercise, Physical Activity, and Training. Autoimmunity Reviews. 2016; 15(1): 110-1. 10. Cotman CW, Berchtold NC. Exercise: A Behavioral Intervention to Enhance Brain Health and Plasticity. Trends in Neurosciences. 2002; 25(6): 295-301. 11. John GR, Laitman BM. Understanding How Exercise Promotes Cognitive Integrity in the Aging Brain Plos Biology. 2015; 13(11): 1-6. 12. Yau SY, Li A, Sun X, Fontaine CJ, Christie BR, So K-F. Potential Biomarkers for Physical Exercise - Induced Brain Health. In: Wang M, editor. Role of Biomarkers in Medicine. UK, London: IntechOpen; 2016. p. 169-91. 14. Budde H, Wegner M, Soya H, Voelcker- Rehage C, McMorris T. Neuroscience of Exercise: Neuroplasticity and Its Behavioral Consequences. Neural Plast. 2016; 2016: 3643879. 15. Hotting K, Roder B. Beneficial Effects of Physical Exercise on Neuroplasticity and Cognition. Neuroscience and Biobehavioral Reviews. 2013; 37(9): 2243-57. 16. Kelly MP. Train your Brain-Holistic Benefits of Exercise on the Brain. 15th The Society of Chinese Scholars on Exercise Physiology and Fitness (SCSEPF) Annual Conference; Hong Kong Baptist University; 2016 July 22-26; China. 17. McDonnell MN, Buckley JD, Opie GM, Ridding MC, Semmler JG. A Single Bout of Aerobic Exercise Promotes Motor Cortical Neuroplasticity. Journal of Applied Physiology. 2013; 114(9): 1174-82. 18. Smith AE, Goldsworthy MR, Wood FM, Olds TS, Garside T, Ridding MC. High-intensity Aerobic Exercise Blocks the Facilitation of iTBS-induced Plasticity in the Human Motor Cortex. Neuroscience. 2018; 373: 1-6. 19. Ma Chun-Lian, Ma XT, Wang JJ, Liue H, Chend Y-F, Yang Y. Physical Exercise Induces Hippocampal Neurogenesis and Prevents Cognitive Decline. Behavioural Brain Research. 2017; 317(2017): 332-9. 20. Petzinger GM, Fisher BE, Sarah M, Beeler JA, Walsh JP, Jakowec MW. Exercise-Enhanced Neuroplasticity Targeting Motor and Cognitive Circuitry in Parkinson’s Disease. Lancet Neurology. 2013; 12(7): 716-26. 21. Vilela TC, Muller AP, Damiani AP, Macan TP, da Silva S, Canteiro PB, et al. Strength and Aerobic Exercises Improve Spatial Memory in Aging Rats Through Stimulating Distinct Neuroplasticity Mechanisms. Molecular Neurobiology. 2017; 54(10): 7928-37. 22. Mang CS, Brown KE, Neva JL, Snow NJ, Campbell KL, Boyd LA. Promoting Motor Cortical Plasticity with Acute Aerobic Exercise: A Role for Cerebellar Circuits. Neural Plasticity. 2016; 2016: Article ID: 6797928. doi:10.1155/2016/6797928. 23. Raefsky SM, Mattson MP. Adaptive Responses of Neuronal Mitochondria to Bioenergetic Challenges. Roles in Neuroplasticity and Disease Resistance. Free Radical Biology and Medicine. 2017; 102: 203-16. 24. Gomez-Pinilla F, Ying Z, Roy RR, Molteni R, Edgerton VR. Voluntary exercise induces a BDNF-mediated mechanism that promotes neuroplasticity. Journal of Neurophysiology. 2002; 88(5): 2187-95. 25. Lepley LK, Grooms DR, Burland JP, Davi SM, Mosher JL, Cormier ML, et al. Eccentric Cross-Exercise after Anterior Cruciate Ligament Reconstruction: Novel Case Series to Enhance Neuroplasticity. Physical Therapy in Sport. 2018; 34: 55-65. 26. Firth J, Stubbs B, Vancampfort D, Schuch F, Lagopoulos J, Rosenbaum S, et al. Effect of Aerobic Exercise on Hippocampal Volume in Humans: A Systematic Review and Meta-analysis. Neuroimage. 2018; 166: 230-8. 27. Gürpınar D, Erol A, Mete L. Depresyon ve Nöroplastisite. Klinik Psikofarmakoloji Bülteni. 2007; 17(2): 100-10. 28. Smith PJ, Blumenthal JA, Hoffman BM, Cooper H, Strauman TA. Bohmer WK, et al. Aerobic Exercise and Neurocognitive Performance: A Meta- Analytic Review of Randomized Controlled Trials. Psychosomatic Medicine. 2010; 72(3): 239-52. 29. Kandola A, Hendrikse J, Lucassen PJ, Yücel M. Aerobic Exercise as a Tool to Improve Hippocampal Plasticity and Function in Humans: Practical Implications for Mental Health Treatment. Frontiers in Human Neuroscience. 2016; 10(373): 1-25. 30. Perini R, Marta B, Michela C, Anna F, Carlo AM. Acute Effects of Aerobic Exercise Promote Learning. Scientific Reports. 2016; 6(25440): 1-8. 31. Rehfeld K, Lueders A, Hökelmann A, Lessmann V, Kaufmann J, Brigadski T, et al. Dance Training is Superior to Repetitive Physical Exercise in Inducing Brain Plasticity in the Elderly. Plos One. 2018; 13(7): 1-15. 32. Rogge AK, Röder B, Zech A, Hotting K. Exercise-Induced Neuroplasticity: Balance Training Increases Cortical Thickness in Visual and Vestibular Cortical Regions. Neuroimage. 2018; 179: 471-9. 33. Lucas SJE, Cotter JD, Brassard P, Bailey DM. High-intensity Interval Exercise and Cerebrovascular Health: Curiosity, Cause, and Consequence. Journal of Blood Flow-Metabolism. 2015; 35(6): 902-11. 34. Mischel NA, Subramanian M, Dombrowski MD, Llewellyn-Smith IJ, Mueller PJ. (In)activity-related Neuroplasticity in Brainstem Control of Sympathetic Outflow: Unraveling Underlying Molecular, Cellular, and Anatomical Mechanisms. American Journal of Physiology. Heart and Circulatory Physiology. 2015; 309(2): 235-43. 36. Seidel O, Carius D, Kenville R, Ragert P. Motor learning in a complex balance task and associated neuroplasticity: A comparison between endurance athletes and nonathletes. Journal of Neurophysiology. 2017; 118(3): 1849-60. 37. Ballesteros S, Rehage CV, Bherer L. Editorial: Cognitive and Brain Plasticity Induced by Physical Exercise, Cognitive Training, Video Games, and Combined Interventions. Frontiers in Human Neuroscience. 2018; 12: 1-7. Article ID: 169. doi: 10.3389/fnhum.2018.00169. 38. Dunlop SA. Activity-dependent Plasticity: Implications for Recovery after Spinal Cord Injury. Trends in Neurosciences. 2008; 31(8): 410-8. 39. Alcantara CC, García-Salazar LF, Santos GL, Reisman DS, Russo TL. Post-stroke BDNF Concentration Changes Following Physical Exercise: A systematic review. Frontiers in Neurology. 2018; 9: 1-12. Article ID: 637. doi: 10.3389/fneur.2018.00637. 40. Austin MW, Ploughmana M, Glynnb L, Corbett D. Aerobic Exercise Effects on Neuroprotection and Brain Repair Following Stroke: A systematic review and perspective. Neuroscience Research. 2014; 87: 8-15. 41. Crozier J, Roig M, Eng JJ, MacKay-Lyons M, Fung J, Ploughman M, et al. High-Intensity Interval Training After Stroke: An Opportunity to Promote Functional Recovery, Cardiovascular Health, and Neuroplasticity. Neurorehabilitation and Neural Repair. 2018; 32(6-7): 543-56. 42. Pin-Barre C, Laurin J. Review Article Physical Exercise as a Diagnostic, Rehabilitation, and Preventive Tool: Influence on Neuroplasticity and Motor Recovery after Stroke. Neural Plasticity. 2015; 2015:1-12. Article ID: 608581. doi: http://dx.doi.org/10.1155/2015/608581. 43. Van der Kolk NM, King LA. Effects of Exercise on Mobility in People with Parkinson’s Disease. Movement Disorders: Official Journal of Movement Disorder Society. 2013; 28(11): 1587-96. 44. Petzinger GM, Holschneider DP, Fisher B, McEwen S, Kintz N, Halliday M, et al. The Effects of Exercise on Dopamine Neurotransmission in Parkinson’s Disease: Targeting Neuroplasticity to Modulate Basal Ganglia Circuitry. Brain Plasticity. 2015; 1(1): 29-39. 45.	da Silva PG, Domingues DD, de Carvalho LA, Allodi S, Correa CL. Neurotrophic Factors in Parkinson’s Disease are Regulated by Exercise: Evidence-based Practice. Journal of the Neurological Sciences. 2016; 363: 5-15. 46. Mello EM, Thais C, Renato SM, Thiago TG, Ercole da CR, Eduardo L, et al. Neuroscience of Exercise: From Neurobiology Mechanisms to Mental Health. Neuropsychobiology. 2013; 68(1): 1-14. 47. Mak MK, Wong-Yu IS, Shen X, Chung CL. Long-Term Effects of Exercise and Physical Therapy in People with Parkinson Disease. Natura Reviews Neurology. 2017; 13: 689-703. 48. Sandroff BM, Motl RW, Reed WR, Barbey AK, Benedict RHB, Deluca J. Integrative CNS Plasticity with Exercise in MS: The PRIMERS (Processing, Integration of Multisensory Exercise-Related Stimuli) Conceptual Framework. Neurorehabilitation and Neural Repair. 2018; 32(10): 1-16. 49. Liu W, Xue X, Xia J, Liu J, Qi Z. Swimming Exercise Reverses CUMS-Induced Changes in Depression-Like Behaviors and Hippocampal Plasticity-Related Proteins. Journal of Affective Disorders. 2018; 227: 126-35.